One of the most favorable Shimizu shore excursions is the trip to Nihon Daira and Miho no Matsubara. Visit the ancient Kunozan Toshogu Shrine, enjoy the quaint black sand beach and then freely shop in the S-Pulse Dream Plaza. The included Shimizu shore excursion takes you firstly heading to Kunozan Toshogu Shrine dedicated to the famous leader Tokugawa Ieyasu who brought a long period of civil wars to an end and united all of Japan. The complex itself is extensive and consists of a large number of bright red buildings decorated with gold accents and colorful carvings and paintings, the Shire will surely amaze you. 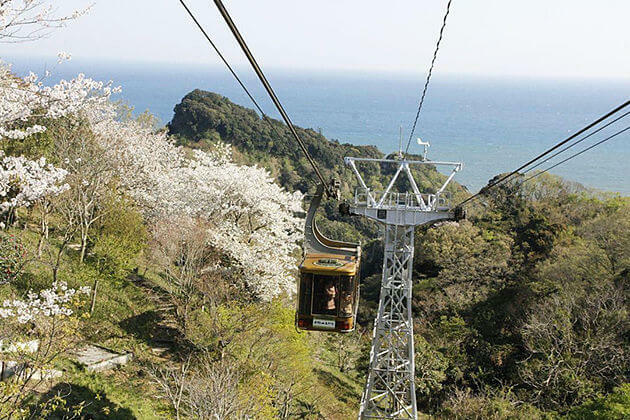 To approach the Shire, you climb up over a thousand stone steps zig-zag up the mountainside, allowing for impressive views of Suruga Bay and the oceanside along the way, or easier have a walk by the Nihhondaira Ropeway from the north instead. 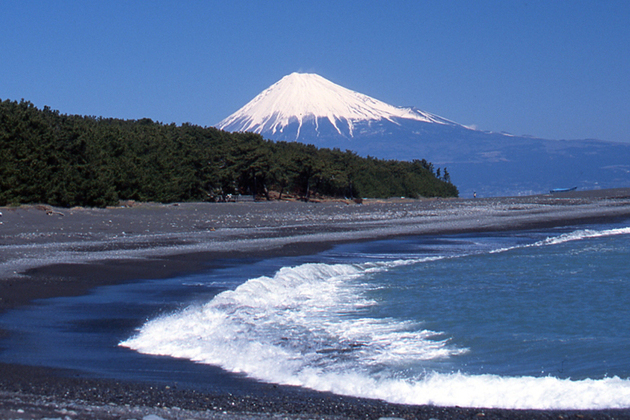 Mihono beach offers an overview of the famous Mount Fuji in conjunction with the pine tree line. Made from small stones rather than sand, once you reach the beach, don’t expect glistening white sand, it is more like crushed lava in color. Among the many pine trees lining the beach is the Hagoromo-no-Matsu which has a legend about a fisherman who once found a robe belonging to a heavenly maiden hanging on the tree’s branches. We jointed a cruise with 18 of us and our first port is Shimizu Japan on May 7, 2018. I was wondering can you provide our group with guided tour for the city. Please send information on price for 18 people. Thank you for reaching to us. Please check the detailed quotation on this Shimizu shore excursion dropped in your inbox. We hope that you enjoy the shore trip and let us be your partner in the future. Thank you for choosing us. You can have a look at the available shore excursions on the website, or tailor-make your own tour. Please check your email for detail information. Thanks for your request on Shimizu shore excursions. Please check your email for the detailed itinerary and quotation. We are interested in Nihon Daira & Miho no Matsubara excursion, please send me the price and the itinerary. Thanks. The detailed quotation and itinerary on this Shimizu shore excursions have been already sent to your email address. Please have a look. Hello, we are a couple arriving in Shimizu on Celebrity Millenium on November 11, 2018. Could you please send me your pricig for this tour? Thank you! Thanks for your comment on Shimizu shore excursions. Please check your email for the detailed quotation and then freely ask us any other question on this Shimizu day tour. Two of us are planning to arrive into Shimizu on a cruise, on Wednesday, February 13, 2019 – what shore excursions do you offer. Thank you for your comment on Shimizu shore excursions. Please check your email for the detailed quotation and ask us any other question you still have. 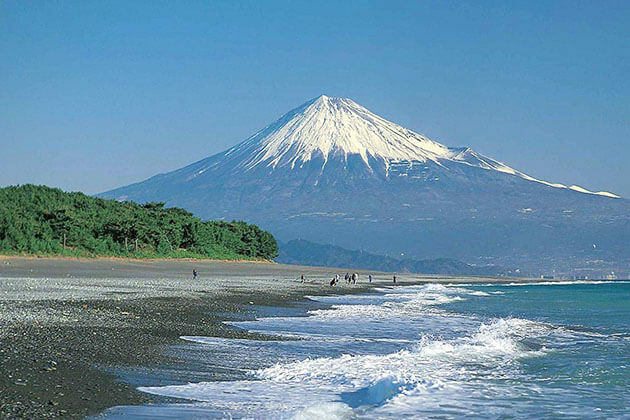 What is the best time to enjoy Shimizu shore excursions to see Mt Fuji? Mt Fuji is beautiful all year round that there is no bad time to visit. Winter – white Mt. Fuji is marvelous. Spring – snow on the top of Mt. 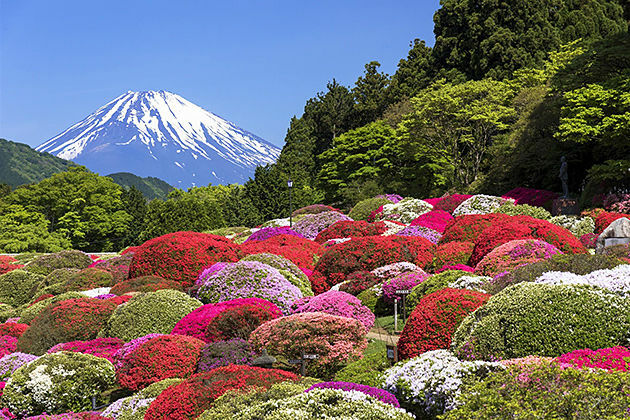 Fuji is ideal and flowers are beautiful in the Hakone area. Summer – just a little bit less beautiful as no snow on the mountain top, but cooler than other area and the air is crispy. Autumn – again with snow on the top and clouds around the mountain is also beautiful. Autumn colored forests at mountain foot and Hakone is also fantastic. Are those itinerary will be suitable for wheel chair, and small children under 5-year-old? Almost all places in Hakone (rope-way, cable-car, and others) are barrier-free. Also, Nihon-daira and Mihono Matsumara are barrier-free. No problem for people on the wheelchair. 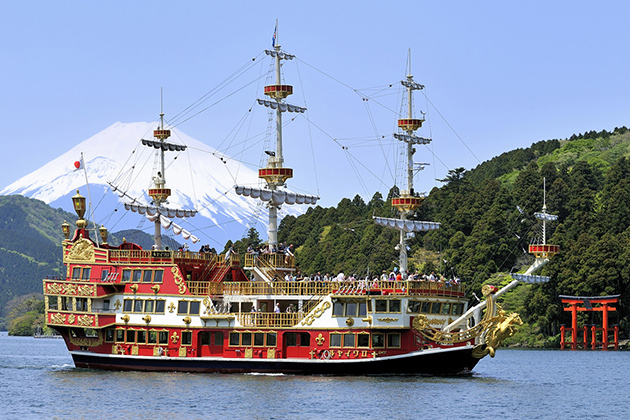 For children, Lake Ashi Cruise (by Viking-boat), Rope-way and Cable-car must be interesting.